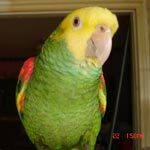 Parrot Forum • View topic - Parrot Rescue gets grant! This is article about the Iowa Parrot rescue and what they will do with the $50,000 grant they got from the DJ&T Foundation to upgrade their birds housing. The best part of this story is the fact that a parrot rescue got such a wonderful grant! I don't know of any other rescue which has gotten one ( they always have to make do with private donations) so the fact that this happened indicates a heightened awareness of the plight of parrots in captivity and their rescues! Great news!!! Re: Parrot Rescue gets grant! The Rhode Island rescue could sure use a grant. After taking in over a hundred parrots in horrific conditions from a CT hoarder a year ago. They need to set up a "Go Fund Me" account. Then announce it in critter forums. People of the lower middle class and even the edge of poverty level would donate even if it was $5 a month. Those $5s would add up once it gets on a roll. I know I would. To many it is just ridiculous to write a check for $5 but would do it on line bill pay. Something emotional has kept me from going to church for many years now. I send my tithe by on line banking to the TV ministers who teach me. My 10% is set on auto bill pay and is taken out of my account on the 3rd of the month. I would be able to make small payments to GO Fund Me. We have dome the GoFundMe thing a few times. People have been generous. I think they want to keep from hitting up the same people over and over. They did this giving grid thing, too. I don't know why it won't take donations anymore. It must have expired. The link is bad, Paj. I'll try to find the story. It's good news for sure. I missed that it was a post from last October. I do remember reading that story. I believe they have applied for many grants. Most are smaller. I think we have gotten a few. I do automatic bill pay for my tithe and life insurance right off the top before paying other bills once a month. I would gladly start with and every month $5 in hopes my finances change so I can do more. Loosing $5 for a good cause will not hurt me. I just regret I can not do more at this time.